The Royal Australian Mint will produce four specially made one dollar, one ounce, silver frosted uncirculated coins for the 2011 Australasian Numismatic Dealers Association Shows. 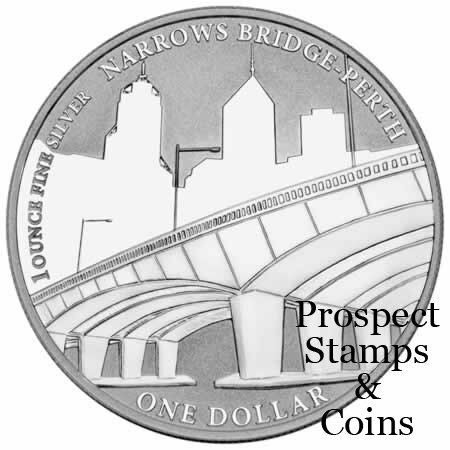 This exclusive series – Capital Bridges will depict an iconic bridge from each hosting state. 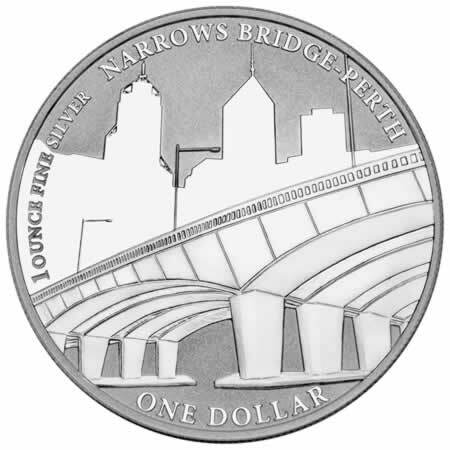 The first coin in the series will feature the Narrows Bridge in Perth. Built in 1959 this was at the time the largest precast, prestressed concrete bridge joining Perth’s north and south precincts. The Royal Australia Mint has a ‘meltdown policy’. Every coin not sold during the ANDA Shows to the public or to dealers are to be melted down.